Project a flawless company image on and off the clock! 26 color(s) to choose from! 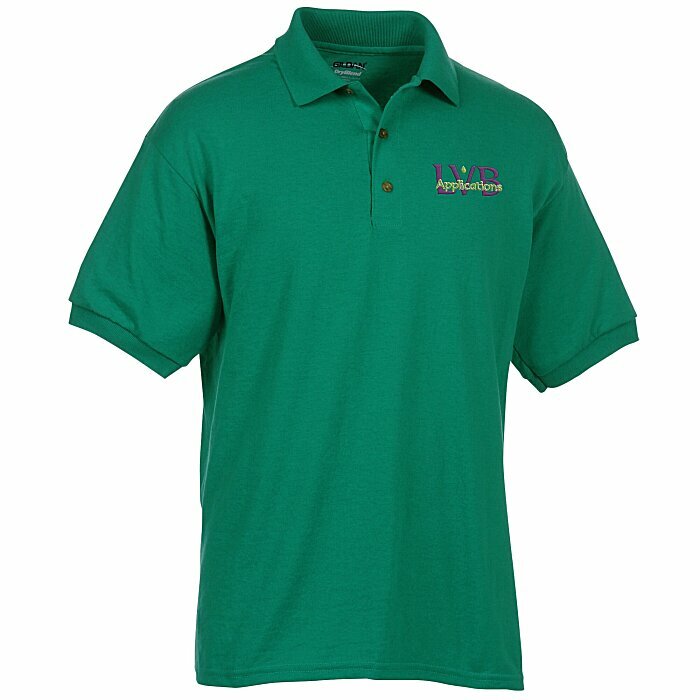 Jersey sport Gildan® shirt features a three-button placket, double-needle stitching at the hem, and a welt-knit collar and cuffs. Designed with a three-buttoned placket with woodtone buttons. 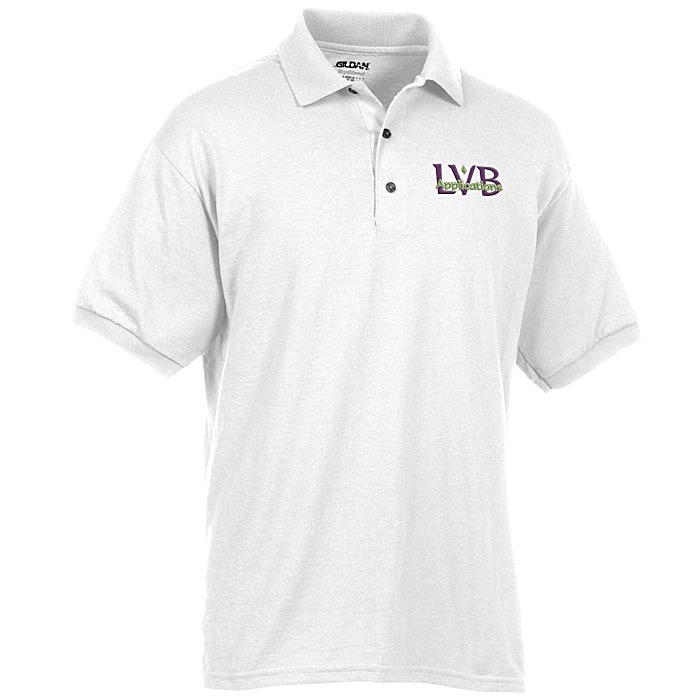 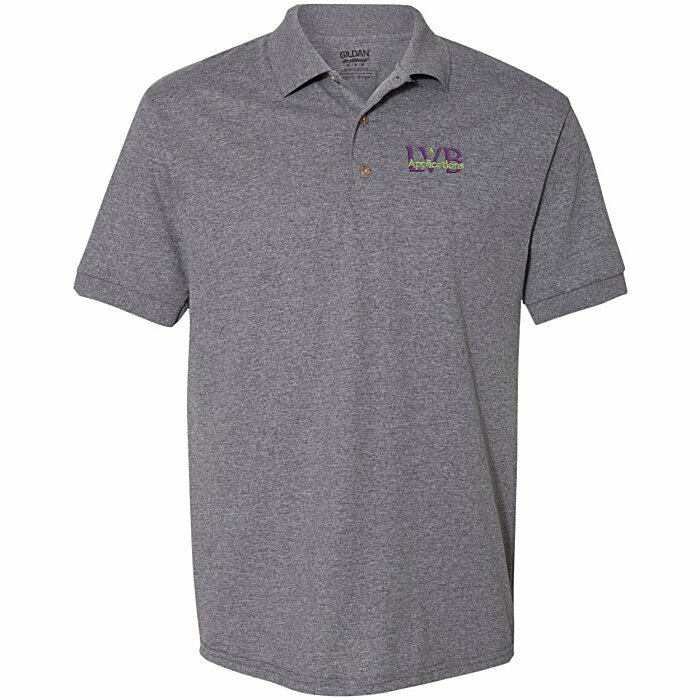 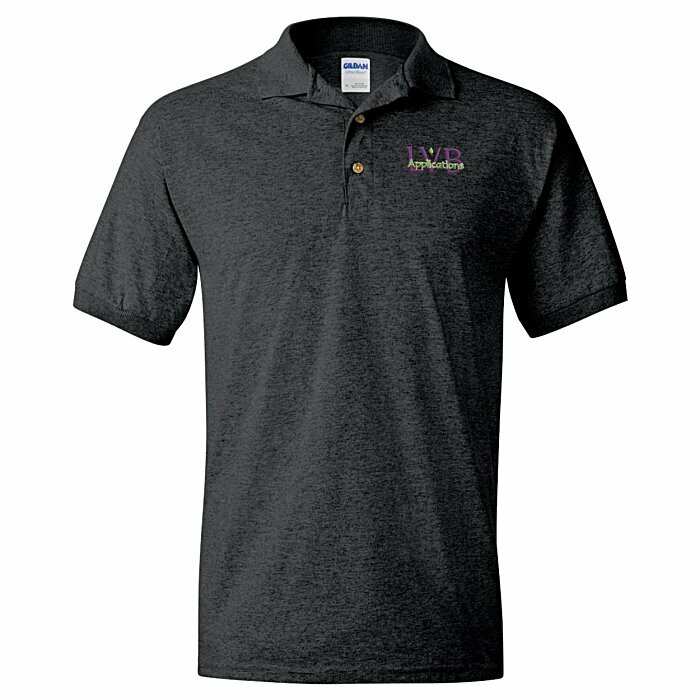 For this same polo with a chest pocket, see item #105469-PGildan 6 oz. 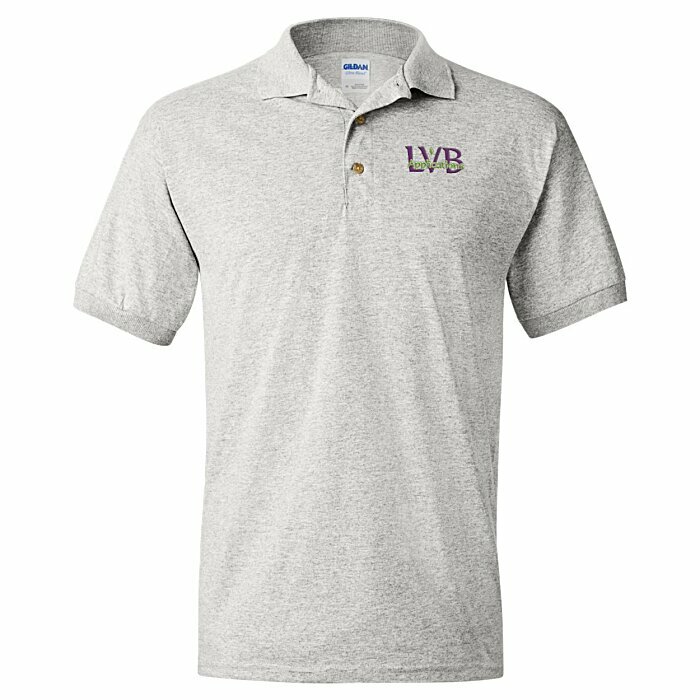 DryBlend 50/50 Jersey Pocket Polo.